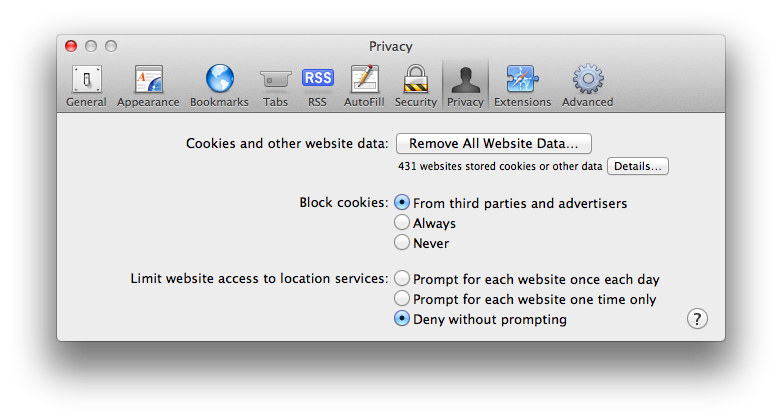 In iOS, I only need to be asked once whether I want to allow a website to share my location data. Is it possible to permanently do this in OS X version of Safari as well? Not the answer you're looking for? Browse other questions tagged safari geolocation . How can I have Safari on OS X remember to permanently trust a website with my current location? How do I share my location on more than one iOS device?